Vadim Makhorov and Vitaliy Raskalov have gained a lot of notoriety with the video above this week. The video, released on Wednesday February 12, 2014, has already been viewed over 8 million times. 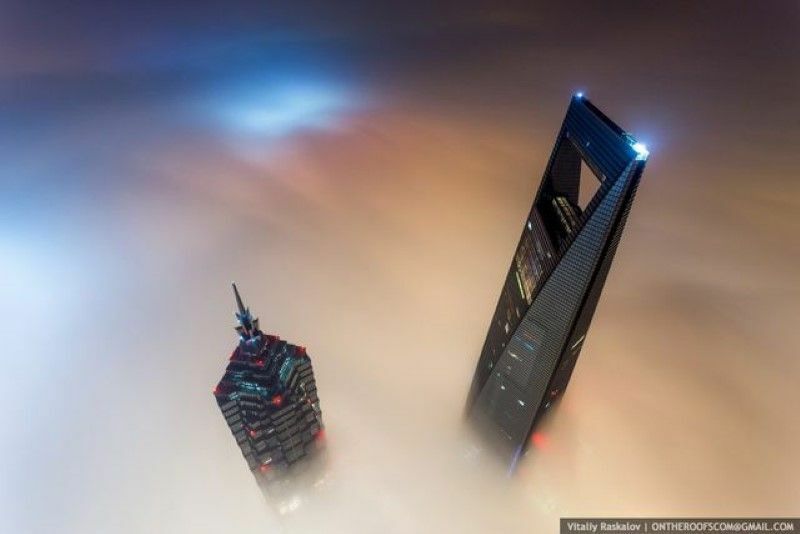 It shows the duo (who together are OnTheRoofs), climbing the still under-construction Shanghai Tower . Upon its completion in 2014, it will stand approximately 632 metres (2,073 ft) high and will have 121 storeys. Following its topping out on 3 August 2013, it became the tallest building in China and the second-tallest in the world, surpassed only by the Burj Khalifa in the United Arab Emirates. Raskalov says the pair started their ascent on January 31st, which not coincidentally was the first day of China’s Lunar New Year, a major holiday in China. It took them about two hours to get to the 120th floor by foot and then they spent an additional 18 hours on top of the building sleeping and waiting for better weather. While the video above documents their ascent, both are keen photographers and took the time to capture some amazing shots of the bustling metropolis below. To see the rest, visit their respective blogs here and here.